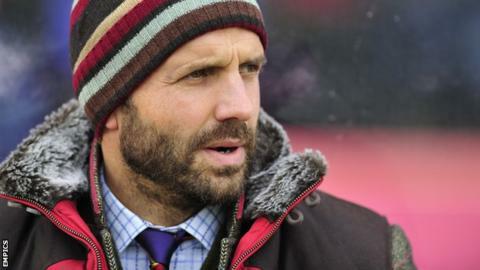 Exeter boss Paul Tisdale says his side "can't go on" losing matches after going a fifth game without a win. The means City have taken just four points from a possible 24 in League Two. "It's very frustrating when we can play and pass as well as we did and create as many chances. "I don't think we can go on like this, not putting the ball in the back of the net having created so many chances," Tisdale told BBC Radio Devon. Tisdale says that City's poor results have too often turned on one or two key moments going against his side. "I'm just very disappointed because I can see the level of play in the team," he added. "But we've not managed to perform at the crucial moments, which means the ball going in their net and stopping the ball going in our net, and we just haven't done that. "You get periods of games in the season where they go very well and go very badly, as they have done in the last month. "It's trying to keep the good things going and improve on the things that have cost us."